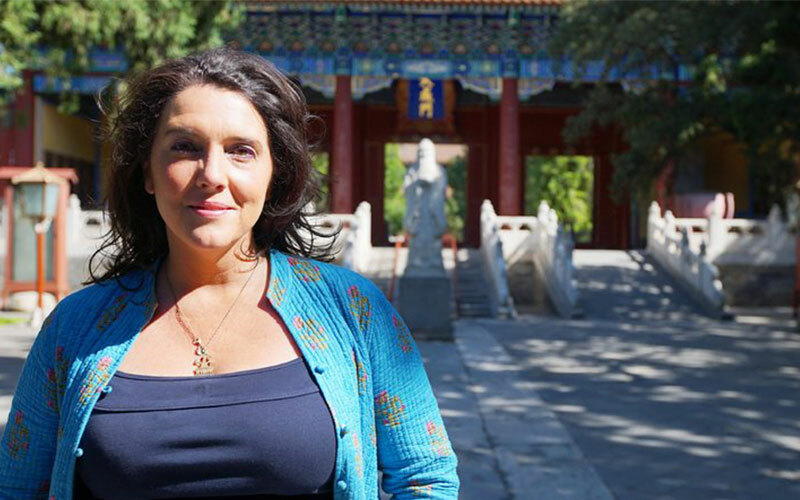 The historian, author, editor, television and radio presenter Bettany Hughes was the unanimous choice of the jury for the European Helena Vaz da Silva Award for the Promotion of Cultural Heritage 2018. Founded in 2013 by the National Culture Centre (in cooperation with Europa Nostra and the Portuguese Press Club and with support from the Ministry of Culture, the Calouste Gulbenkian Foundation and Portugal Tourism), this Award annually distinguishes exceptional contributions towards defending, disseminating and promoting the cultural heritage of Europe. This year’s award highlights the work of Bettany Hughes and her way of repeatedly communicating the past in a popular and enthusiastic fashion. Prior to Hughes, award winners have featured figures such as Claudio Magris, Orhan Pamuk, Jordi Savall and Wim Wenders. The Awards giving ceremony (15 November at the Calouste Gulbenkian Foundation) is also to honour the Portuguese project that won the European Union Prize for Cultural Heritage / Europa Nostra 2018 Awards attributed to the rehabilitation of the Botanical Garden of the National Palace of Queluz.